Faltz Landscaping’s licensed Landscape Architect, professional designers, crew members, and full-service maintenance personnel are ready to meet any and every challenge your project or property has to offer. 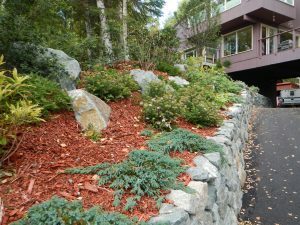 We provide comprehensive landscape services to both residential and commercial properties throughout Southcentral Alaska. We design, install and maintain quality at any scale. We provide solutions ranging from the simple garden pathway to the most complex estate plan. We stand by our results with the Faltz name and our dedicated warranty. We look forward to developing and maintaining lasting relationships with our clientele no matter the size of the project or property. 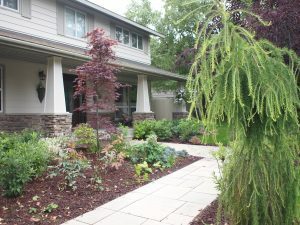 Please choose the service that best defines your needs and allows us to help you meet your landscaping goals. Everything about my experiences with Faltz Nursery over the past few years has been excellent. The nursery is great but their landscaping department is awesome. Our property has a number of challenging aspects including slopes, areas of limited sunlight and poor drainage. They have figured out ways to work with these challenges and create something wonderful. The cost is extremely reasonable, the quality of work is fantastic, the time frame from start to completion was very fast and they have gone above and beyond with respect to honoring their warranty. I would highly recommend Faltz for their nursery and most definitely for their landscaping department. Bought some flagstone rock for pavers today, awesome selection and good price compared to that fake concrete block from big stores. If we had known the range of products Faltz has we would have gone there a lot earlier. Robbie and Becca were especially friendly and helpful. The nursery is amazing! A huge variety of trees, plants and flowers. Like visiting a botanical garden or an arboretum.